FM 1960 under the Hardy Toll Road is closed in both directions after a man was fatally struck walking on the road. HOUSTON (KTRK) -- FM 1960 under the Hardy Toll Road reopens after a man was fatally struck walking on the road. 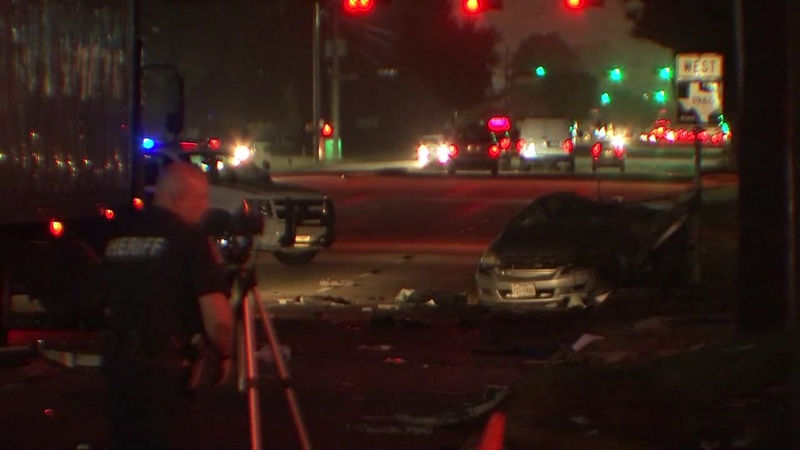 Reports say that the husband and wife were walking in the dark on FM 1960 when a driver tried to avoid them but struck the husband in front of the wife. The driver was taken to a hospital and is back at the scene. Harris County Sheriff's Office confirmed that a fatal accident occurred on FM 1960 at Walters Road Wednesday morning.